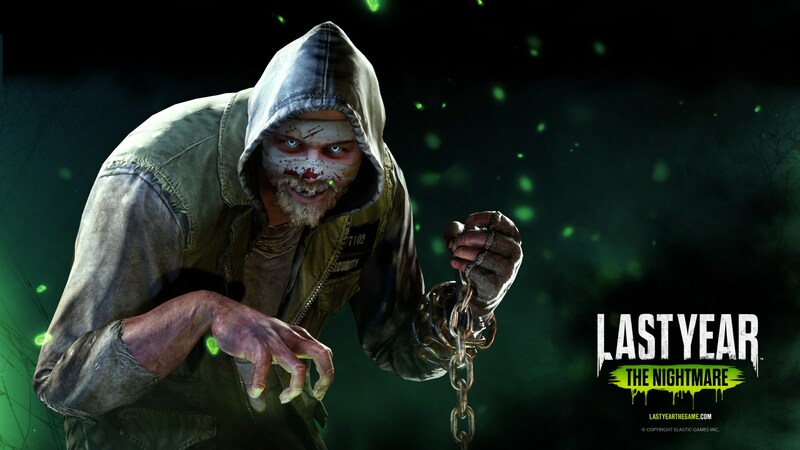 Last Year: The Nightmare did get some great promotions recently a lot of people we able to try it in the beta phase, which was thankfully open, and the game seemed promising. The asymmetrical aspect of multiplayer games has always interested me and after a few games failed to capture the audience recently, Last Year tries to do so boldly but lacks staying power to remain alongside the top dogs for now. The roadmap has been announced and I advise you to pay attention to the progress of the game; as it is, however, I can’t recommend it at full price. Being a multiplayer only game, much of the general structure of the review will be changed ( the story, for example, won’t be approached as it’s literally non-existent besides the premise). I will also try to discuss the balance of the game as best I can from what I played but it’s worth noting that the game has been out for very little time, so much of the meta, strategies/routes are undiscovered/sub-optimal. Let’s get the elephant immediately out of the room. This is the same genre as Dead by Daylight, Friday the 13th, Deathgarden, etc. but plays completely DIFFERENT. Don’t expect the complexity of Dead by Daylight, the variety of Friday the 13th or the quirky combat focus aspect of Deathgarden or Evolve. Yes, there is a killer. Yes, there are survivors. And yes, the survivors can fight back due to a very interesting, class-based crafting system that allows them to create offensive tools to approach and try to kill the killer. But that’s it, the whole gameplay loop is very different for both the killer and the survivors, thanks to some cool quirks added that don’t quite mesh together very well, unfortunately. First of all, objectives and maps. There is a huge universal map of the high school the student survivors try to escape from, which is the same for all plans. The plan is an objective sequence that, once completed, allows the survivors to escape, if they didn’t die mid-game of course. There are about three plans, each that require survivors to go to different school locations (a tower, a library, the gym, etc. ), collect something, use it on something and activate the escape door. This all happens while a single killer is out to kill the survivors. The survivors can have four classes, and no class can be adopted by three or more players simultaneously. All of these have specific offensive equipment that needs to be crafted using the abundant scrap looted throughout the level. These can kill the killer rather quickly; flamethrowers, shotguns (which kills 1 of the killers instantly), stun guns, molotov cocktails, baseball bats, etc. Anyway, crafting takes about 2-3 seconds to get you the item and after that you’re set to absolutely destroy the killer (or survivors as friendly fire is a thing, thank God)! You can crawl through vents and small passageways that the killer can’t and you can also run as fast as the killer. And this is where everything starts falling apart: the advantages the survivors have are so extensive that the killer literally becomes a meme instead of the scary powerhouse of a murderer you’d expect. – Strangler? Shotgun to the face no problem. – Slasher? Shotgun to the face, a few pipe smacks and 5 seconds of turret (yes, you can lay down turrets!) fire will yield at most… 1 kill, if the killer’s lucky. – The Giant is too slow to even scare survivors, his massive health pool and ability to throw survivors around like they’re pebbles is quite menacing but by the time you do that and get a kill, you’re dead or close to it. Now, I’m talking about a lot of killing and shrugging it off. Why? Because everyone can respawn! Oh the joyful respawn capabilities of psychopathic murderers and engineering prodigees in a calm night of escaping death itself. This is infinite with the quirk that respawn timers increase the more you die. Survivors can respawn stuck in rooms, where they have to rescued by fellow survivors. The Killer just gets a timer and boom, back in the party. The killer will also spawn in the innovative Predator mode! In predator mode, you basically spawn as a ghost with ludicrous speed and invisibility but cannot attack, you can go through doors, trap everything with no limit at all as long as survivors aren’t looking in your direction, which also applies to spawning: survivors can’t be looking in your direction for you to do any action at all, which yields final sections of the game to force you to spawn and try to get a kill or the survivors, provided they aren’t completely stupid, will just look in a huge cone of vision so that you cannot spawn in a place close enough that allows you to prevent them from escaping. You, the killer, are a joke. You move unbelievably slow to the point where I wonder if any of them have legs or are trying to get accustomed to some bionic prosthetic legs and still can’t run at a decent pace. This makes you try to hunt for survivors that are lost and are lonely or with a fellow survivor at most! If a team is moderately coordinated, you spawn and die so fast you probably can’t even swing your melee weapon more than two times, which of course, doesn’t kill survivors in one hit (the strongest being the moderately fast and hard hitting slasher that still dies too fast for anyone with a decent crafted weapon). If things get heated, you can run away (oh the irony) to break line of sight and enter the ghost “Predator Mode” again (this loop of spawn/Predator can be done infinitely) to get a breath. Some killers allow you to do ambushes through vents or ceiling windows but… you need to be lucky if the survivors just bought the game in order to pull those off. And there’s nothing else to add about the killer, or the survivors even. You’re a bald headed, slow paced, axe wielding psychopathic murderer and you can get flashed, tased, shotgunned and burned to death in two seconds by a group of survivors moderately well coordinated. That’s my problem: the balance is broken. Plans like the library stupidly favor the survivors even more (the others can MAYBE be done with a decent killer player) by being near impossible to win as the killer due to level layout and structure, route changes possible through the vent system and the overall item positioning that doesn’t help your spawns at all, let alone to trap or ambush the survivors. And once you kill someone, all your pride and effort goes to crap because he/she respawns and was saved in a manner that is too fast and underwhelming. Being a survivor and killing the killer ends up being underwhelming when he can spawn right behind me 10 seconds later and kill me (or at least starts spamming traps right in front of me). Or maybe he won’t spawn right behind me because someone is probably checking our backs and we all end up living and escaping, which happened on 90% of my survivor games. It really annoys me that the game lacks such balance. I don’t want to compare this to Dead by Daylight but that is a roulette, survivors can all be viciously destroyed in 2 minutes or joke around the killer for 10 minutes and still survive easily. The killer is usually a menace to your safety. Here you can just destroy the killer so quickly that it’s not fun to face a group of survivors that know each other, and the fact anyone can respawn after dying makes the game less and less tense as time goes by (some exceptions can happen in some situations). The game has great ideas: the map design being huge and full of interconnected paths, the crafting and ability to fight back, the killer being real and then switching to a shadow the next second giving a tense feeling, the variety of objectives allowing games to not feel all the same. But… everything is on overdrive and the survivors end up being the murderers and not the killer. Both parts end up feeling underwhelming and unbalanced. It’s also worth noting that the game has NO TUTORIAL! 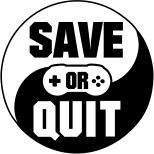 This is frankly a must for all games and in particular, multiplayer games. You enter the game and you can customize your options screen, check leaderboards or play online in a quick match or browse servers (usually there aren’t many). The game uses P2P and it seems to be more unstable than most games with small hiccups and laggy delay in my actions that most games don’t have, even with similar pings. Infinite load times also struck me twice when connecting to lobbies. So, basically, you join a Quick Match and have no idea what classes do, what abilities or equipment they can craft; you spawn and know nothing about the map. Die horribly and rinse and repeat until you learn the basics by yourself. This is personally not a fun starting experience to a brand new game, especially since the game doesn’t seem to have any sort of rank for the matchmaking. I played the beta so I knew what I was getting into but I also expected the final release to be better than this. The game also released with absolutely no progression. You have no skins, no level ups, no skilltrees or anything, so with time, everything feels more and more like the same. Being able to switch between killers upon death takes away the novelty of them really fast for both survivors and killers, so by the end all you’re left with is a game that feels the same way too quickly. A roadmap was announced which included a progression system which makes me wonder further why it couldn’t be in the game in the first place. You either really enjoy the gameplay (the combat and overall weapon feel really isn’t good) or you’re done with the game super quick and have to wait until roadmap news show up (and pray the progression system or balance fixes are the priority). Running on Unreal Engine 4, the game is gorgeous. No denying that. Lots of detail in the whole map/level, plenty of objects and varied structures, the art style is clean and makes the game a pleasure to look at when you’re not being horribly murdered and have to sit in the spectator screen. Graphics options are customizable and they’re quite extensive at that, thankfully. The game also runs really well on my PC with no frame-drops or freezes/crashes to be noted. Audio is also good for the most part. The silent ambient and atmosphere render it quite eerie and interesting; the character voices are B-Movie level cheesy and charming and the overall sound assets of equipment and such are quite good; however, the voice chat system of the game is a mess. The interface and lack of a tutorial are a joke. I can’t even believe it got passed through Quality Assessment, to be perfectly honest. There is a game with quality level design and ideas but falls flat in nearly everything on release. Its content is barebones (but the price sort of compensates); the lack of a tutorial, the huge number of balance issues in certain plan map sections and the awful interface (in particular with the voice chat settings) really don’t make me feel like playing more than the hours I poured into it on release and in the beta. The game has remarkable potential and is very pretty and polished, and the roadmap is a step in the right direction but, as it is, I can only recommend it to fans of the asymmetrical multiplayer genre. For the rest, I’ll still recommend following its progress until it’s more complete. There are free content levels, killers and survivors coming apparently. So, it may be worth a shot then.